America's evolution from colonial status to nationhood is chronicled through a unique blend of timeline, film, thematic exhibits, and outdoor living history. An outdoor exhibit walkway details events that led American colonies to declare independence from Britain. 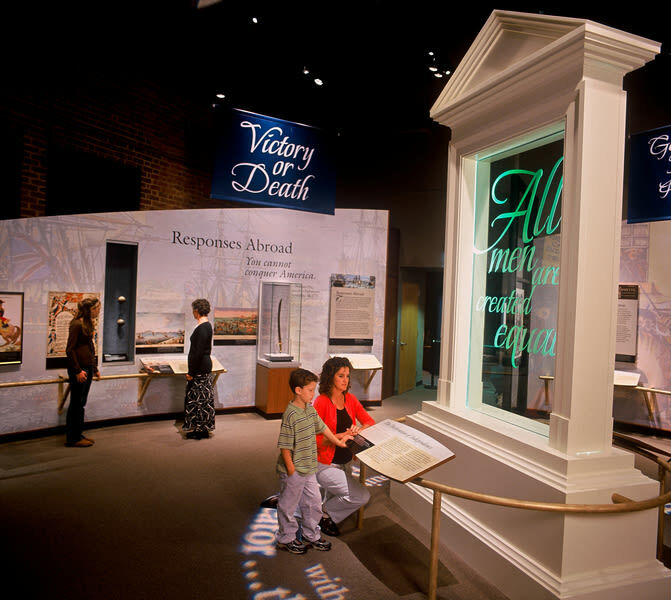 Indoor exhibition galleries recount the war's effect on 10 extraordinary men and women who witnessed the Revolutionary War, highlight the roles of different nationalities in the Siege of Yorktown and explore the story of the Betsy and other British ships lost in the York River during the war. 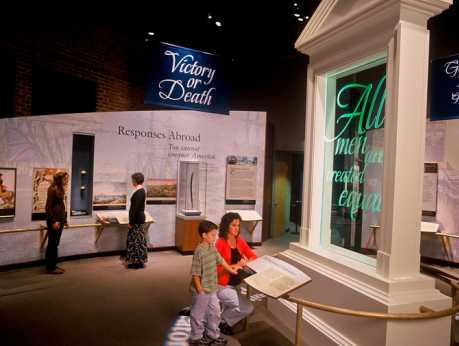 Exhibits also describe experiences of ordinary soldiers, Yorktown's importance as an 18th-century port and the development of a new government with the Constitution and Bill of Rights. 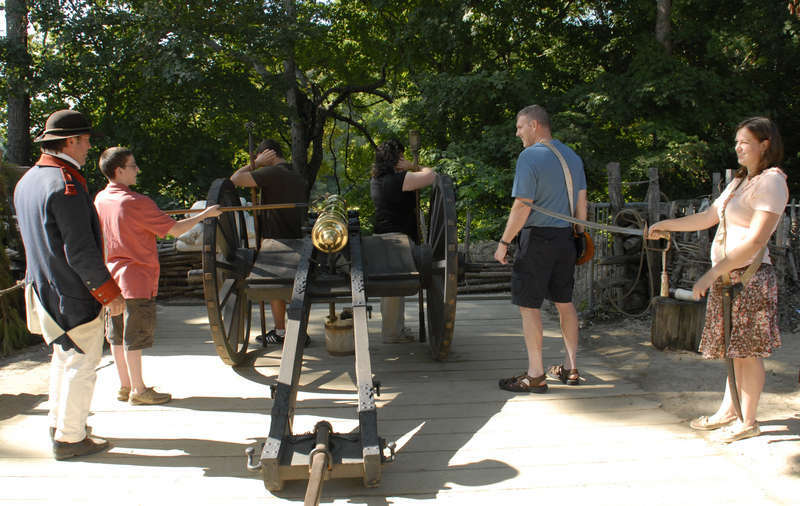 Outdoors, visitors can explore a re-created Continental Army encampment, where historical interpreters describe and depict daily life of American soldiers at the end of the war. 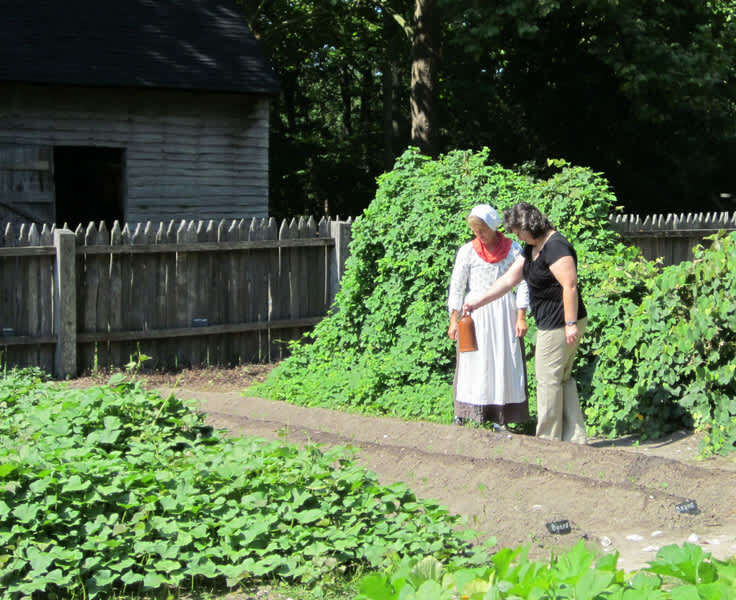 A re-created 1780s farm, complete with a house, kitchen, tobacco barn, crop fields, and herb and vegetable garden, shows how many Americans lived in the decade following the Revolutionary War.